Were you hoping for a designer handbag for Mother's Day this year, but did not get your wish? Well, Layla Grayce is currently offering an additional 15% off designer handbags when you checkout with Promo Code: NEWPURSE! Brands that especially caught my attention were Rebecca Minkoff, Botkier, Latico, and Petunia Pickle Bottom. However, the bag that called out to me the most was the Rosanna bag pictured above. They come in 14 different prints, have removable leather handles, are machine washable, and are priced at only $40 to $43 each. 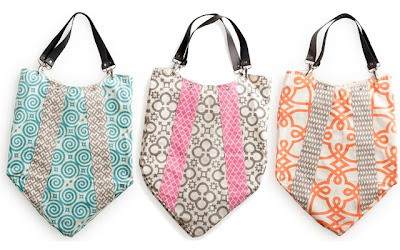 When you use the 15% off promo code, these bags will be just $34 to $36.55 each! This Layla Grayce promo code is valid through 5/30 only. Select bags come with Free Shipping, but there is always Free Standard Shipping for most orders over $75.